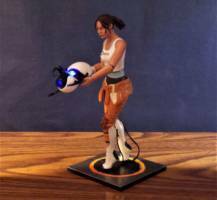 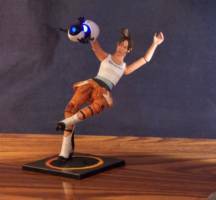 This was a repaint of the Portal 2 Chell figure but I also modified her arms to get rid of how her skin looked like it was folding over her elbows. 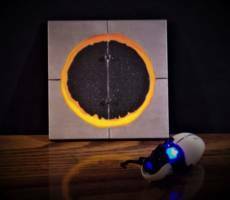 Her base was also repainted to look like the metal flooring in the Aperture Lab but with an orange portal opening to outer space or the night sky. 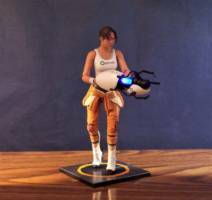 I went with orange since the portal gun can only light up blue.